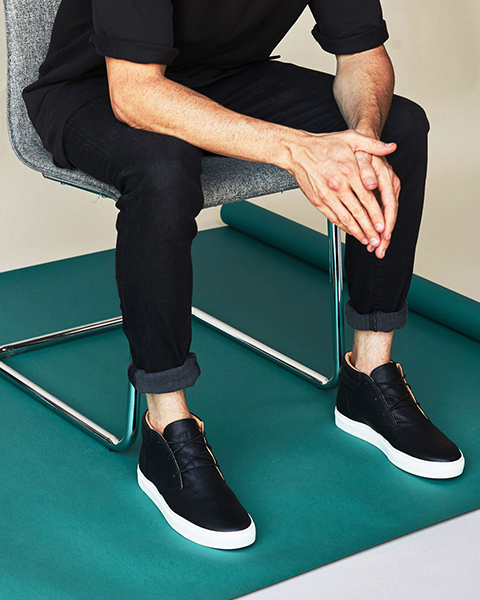 The Cortez Mid Top Sneaker combines a classic chukka boot look with the comfort and versatility you expect from a sneaker. It features a Vibram sole, soft leather insole and lining, smooth leather upper, and comes equipped with two types of laces, both cotton and waxed cotton, to fit your style. Handmade in an ethical factory in León, Mexico. If you prefer a more roomy fit, we recommend ordering true to size. 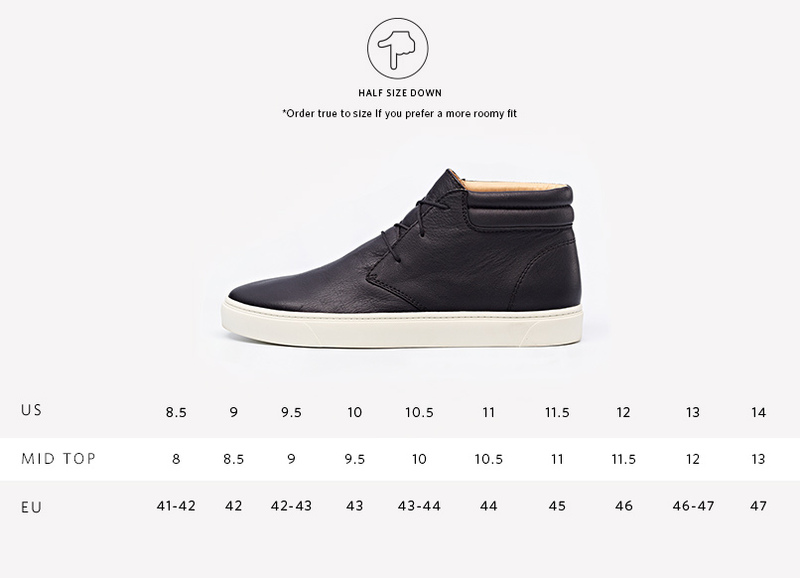 However, we recommend sizing down a half size if you plan to wear thin socks or no socks as the sneaker does run a bit large.